Learn how to create a competitive advantage for your business by offering a customer experience that’s second to none! By following a simple “ten principles” format, this book will show you how to constantly improve and build your business. 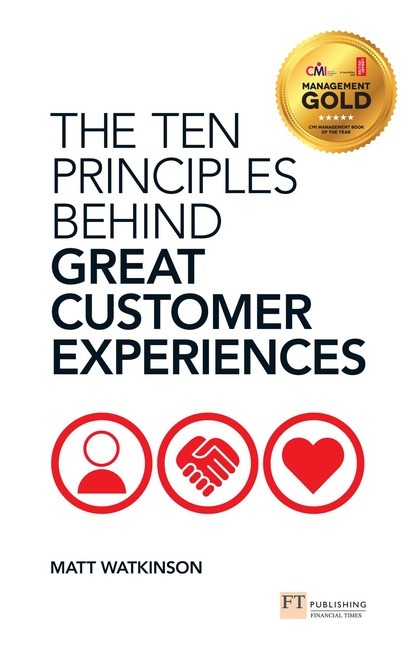 The combination of psychological theory, real world case studies, worked examples and template documents provides the ‘what, why and how’ necessary to make good ideas stick and get them into practical usage, so you can enhance your customers’ experiences and keep them returning again and again. Featuring lessons from a host of winning companies such as Facebook, Lush Cosmetics, Gü puddings and John Lewis, the book is littered with uncomplicated ideas which are simple to implement and accessible to anyone.